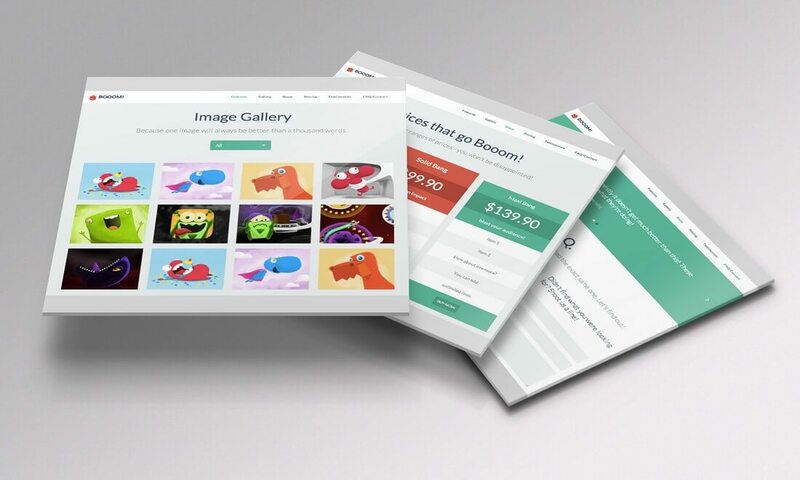 Grab this big bundle of HTML templates to find designs to craft all types of landing pages for your marketing purposes. 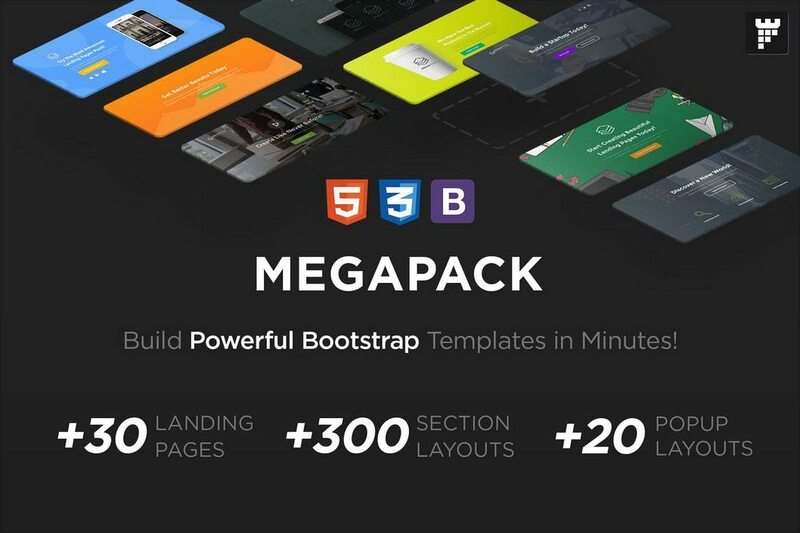 This pack includes more than 30 different landing page templates for building app landing pages, SaaS business websites, startup websites, and more. The bundle also includes 20 different popup layouts with integration for MailChimp, AWeber, GetResponse, and over 300 elements for crafting unique pages of your own. Paper is a beautifully minimalist website template that can be used to build multiple types of websites, including landing pages, agency websites, personal resume websites, portfolios, and more. Built with Bootstrap 4, the template features 18 homepages and 4 landing page designs. In addition, it also includes blog layouts, a mega menu, portfolio pages, and much more. Arrow features a design that encourages visitors to signup and join your platform or service with strategically placed CTAs throughout the website. The template includes 14 different variants of the header banner and a parallax background. 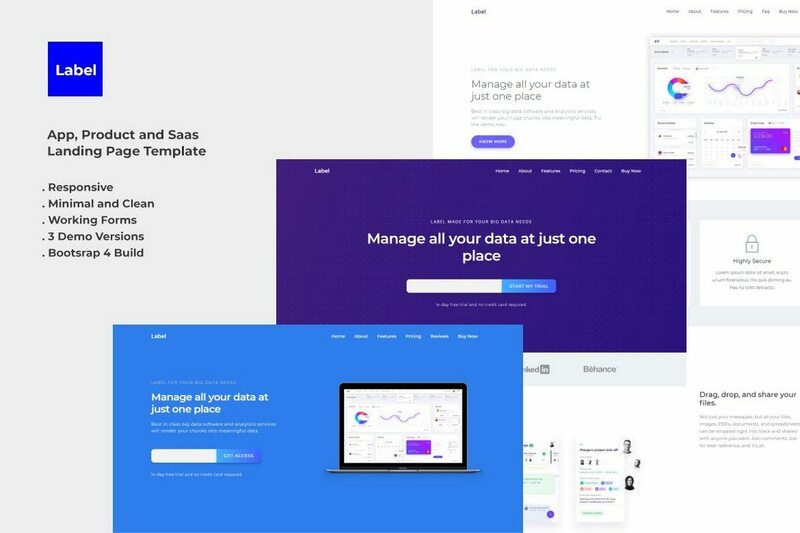 Label is a multipurpose landing page template that features 8 demo variations for crafting website designs for app landing pages, startups, and SaaS businesses. In addition to its clean and minimal layout, the website design includes a pricing table and a testimonials section. It also comes with a fully-functional email signup form with support for MailChimp integration. 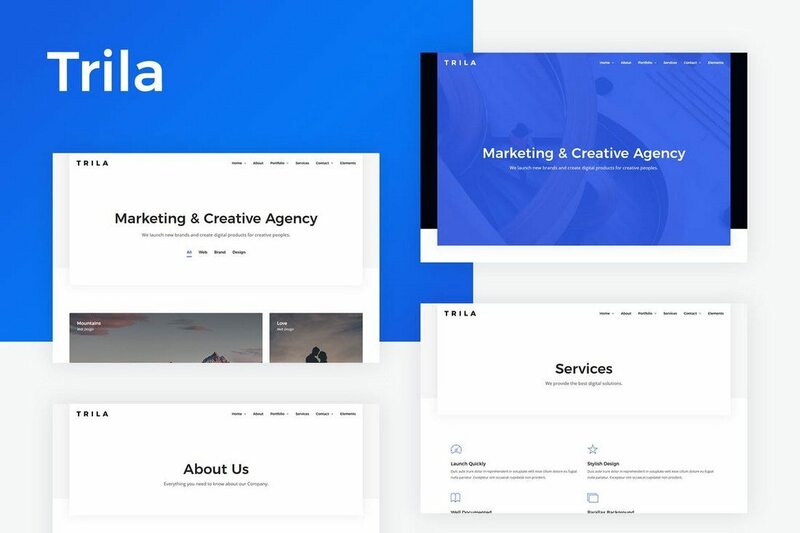 Trila is a website template with a creative design. It can be used to build many types of websites, including business websites, portfolios, agency websites, as well as landing pages. 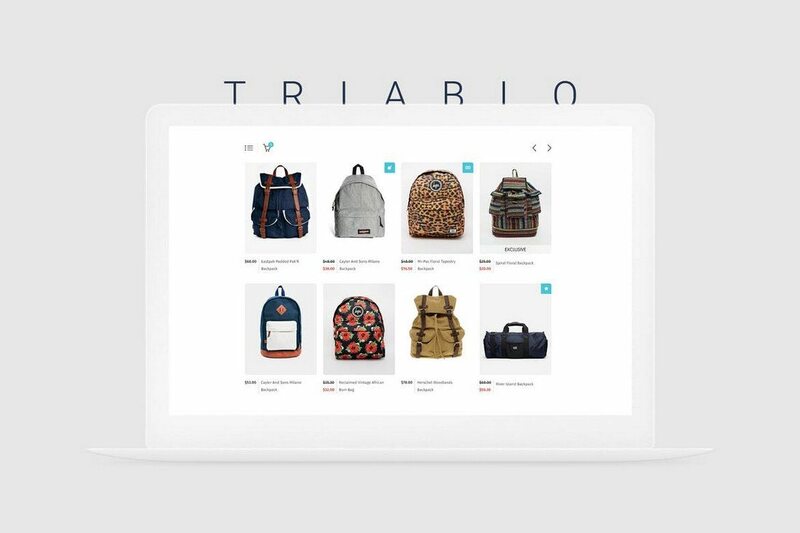 Powered by Bootstrap 3, Trila features 7 different portfolio designs to choose from with 6 different button styles and a lightbox gallery. It also includes an Ajax subscription form and a contact form. 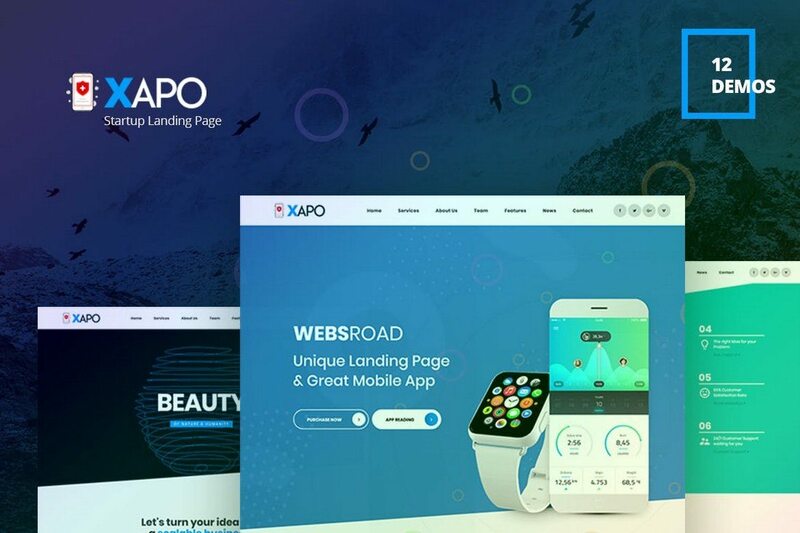 Xapo is an HTML template designed for startups and app landing pages. The template is built with the latest Bootstrap 4 and features a clean layout with plenty of CSS3 animations. Xapo also includes a slider with unlimited styles, a blog page, a team page, a sticky menu, and much more. 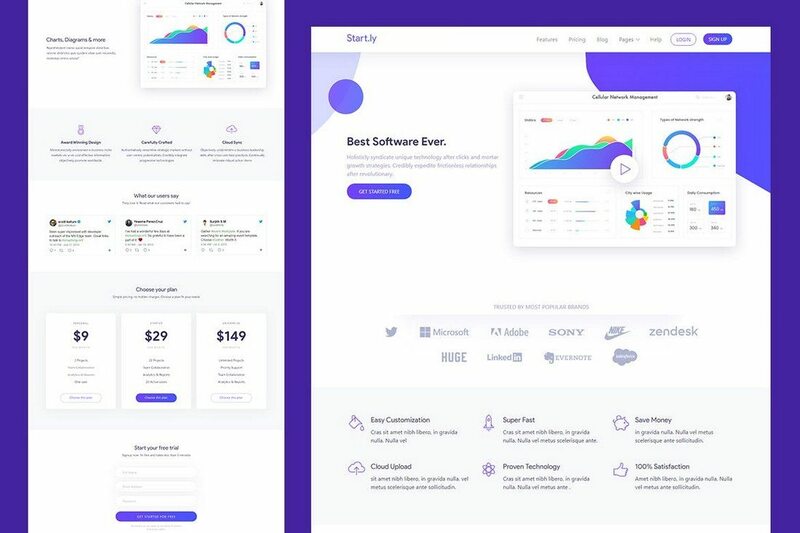 Startly is an HTML template designed specifically for building software and SaaS business landing pages. The template features a minimal layout that highlights its content with bright and attractive colors. Built with Bootstrap 4, the template includes 2 different header layouts, a signup form, pricing and testimonials sections, and free updates. 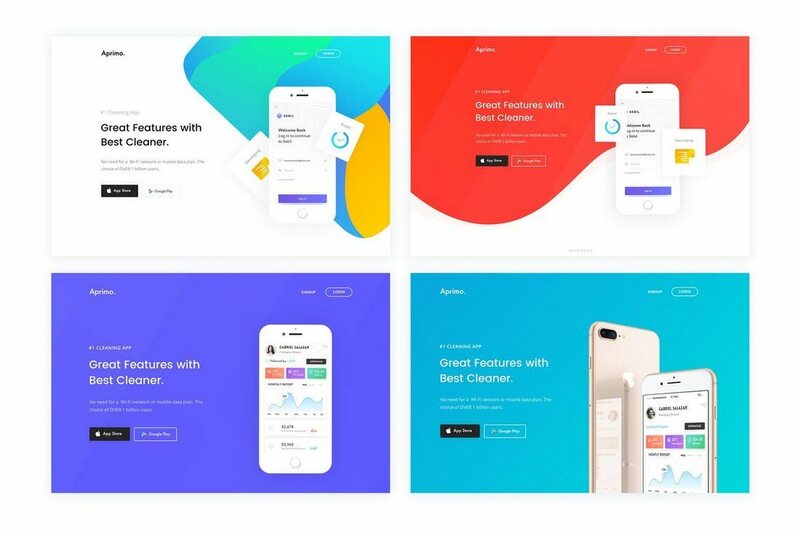 Faster is a gorgeously designed app landing page template that features a minimal and a clean layout for effectively showcasing your mobile apps. The template is built with Bootstrap and comes with 9 different homepage styles to choose from. If you’re a web designer, the template also includes the PDF files for customizing and editing the designs as well. 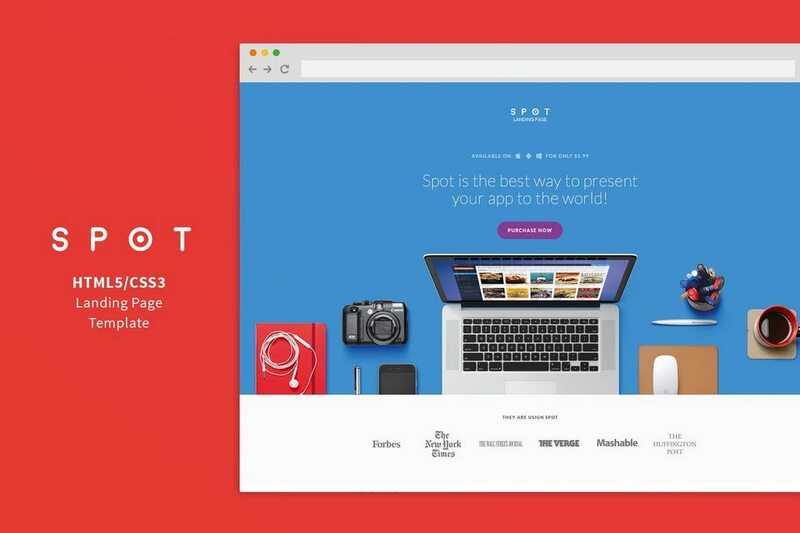 Spot is a simple landing page template you can use to showcase the features and the details of your apps and services. The template comes with 7 different homepage styles in 18 predefined color schemes so you’ll have lots of options to choose from when crafting a professional website. 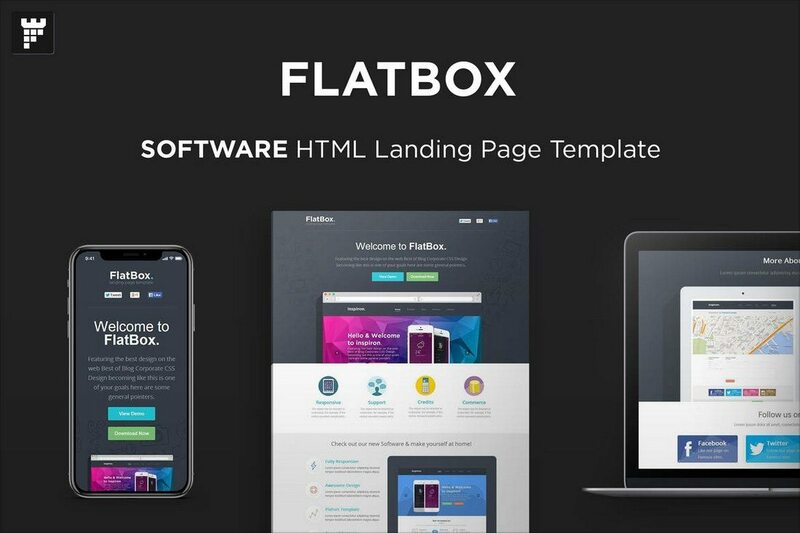 FlatBox is a landing page template made for showcasing software. The template features a mobile responsive design with lots of jQuery animations and a parallax effect. It also comes with 3 device mockups for showing off your software screenshots. Working on a real estate website? 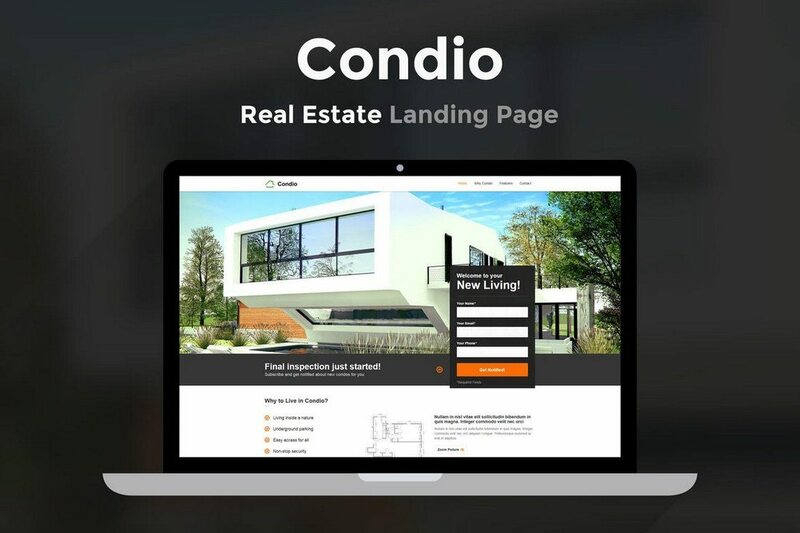 Then grab this template to craft a professional landing page for your real estate agency without much effort. The template features 5 different homepage designs, a lead generation form, a map with markers, an apartment listings section, and much more. Root is a multipurpose product landing page template that you can use to promote products while showcasing all of its features using a clean layout. The template comes in 2 variations, a MailChimp subscription form, and more. 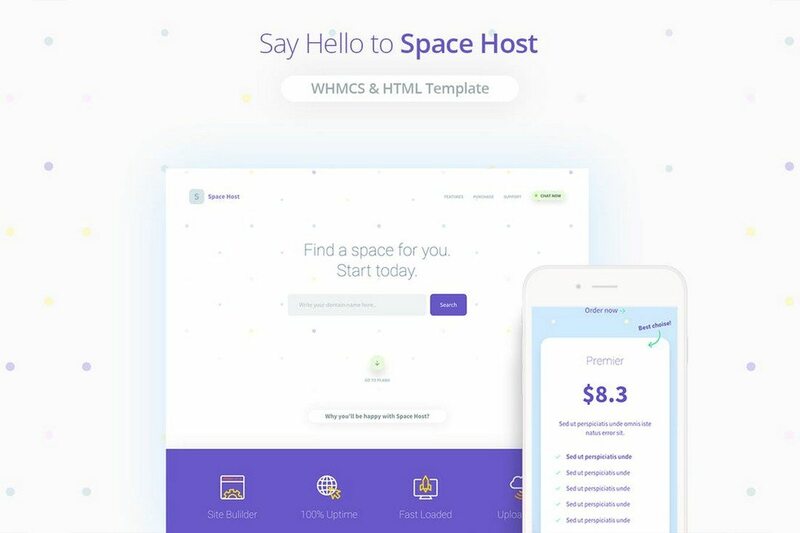 Space Host is a gorgeous HTML template built with web hosting services and websites in mind. This template features a minimalist design with colorful elements for instantly attract users and showcase your services. 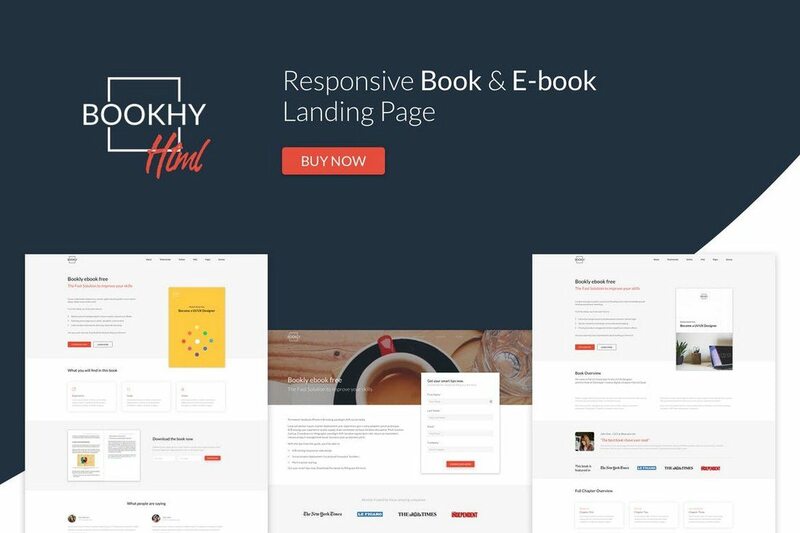 If you’re looking for a landing page design to showcase your book or a magazine, this template will be perfect for you. The template comes in 4 different homepage layouts and many other page designs, including a 404 page and an about page. Eco is a product landing page template that also comes in 6 different layouts featuring various hero section styles. It features different sections for showcasing product features, reviews, and more as well. This HTML template comes in 3 different versions, which you can use to showcase either a mobile app, a product, or use as a lead generation page. All 3 designs feature clean and minimalist designs. 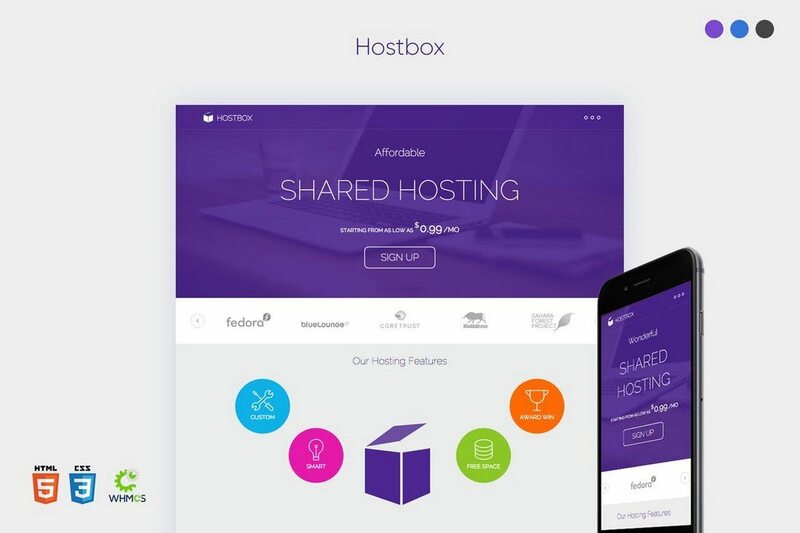 Hostbox is another minimalist HTML template for building a landing page for a web hosting services website. The template is available in 3 different versions featuring pricing tables, sliders, feature boxes, and more. 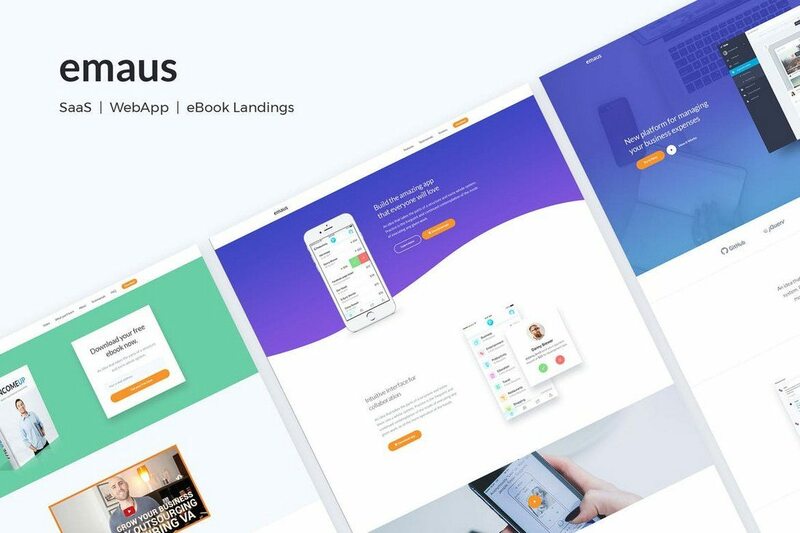 Emaus HTML template comes in 3 different designs, which you can use for designing websites for SaaS businesses, web apps, or an eBook landing page. The templates are fully optimized for speed and SEO as well. Aria is a minimalist landing page template that features a creative split-screen layout. 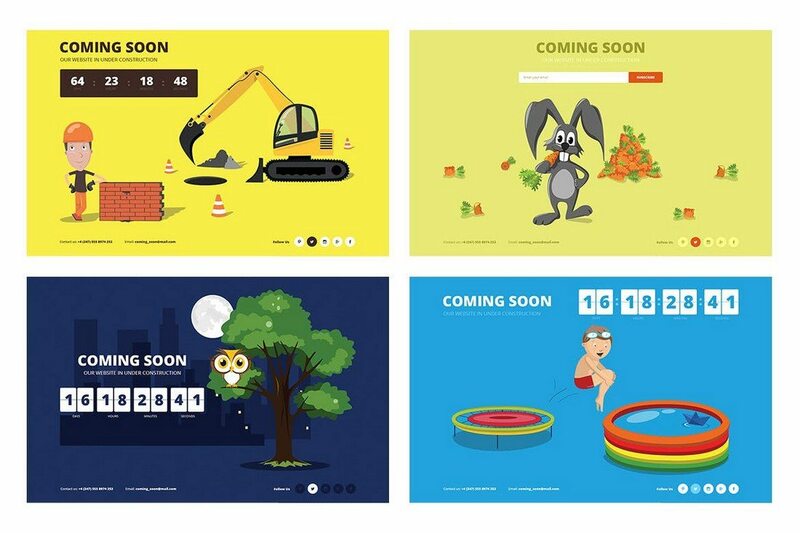 It also includes several different styles of designs for app landing pages, portfolio websites, coming soon page, product landing page, and more. Drawer is a coming soon landing page template that features a highly creative and a playful design. It comes in 8 different styles and colors, all of which feature delightful designs with creative drawings. 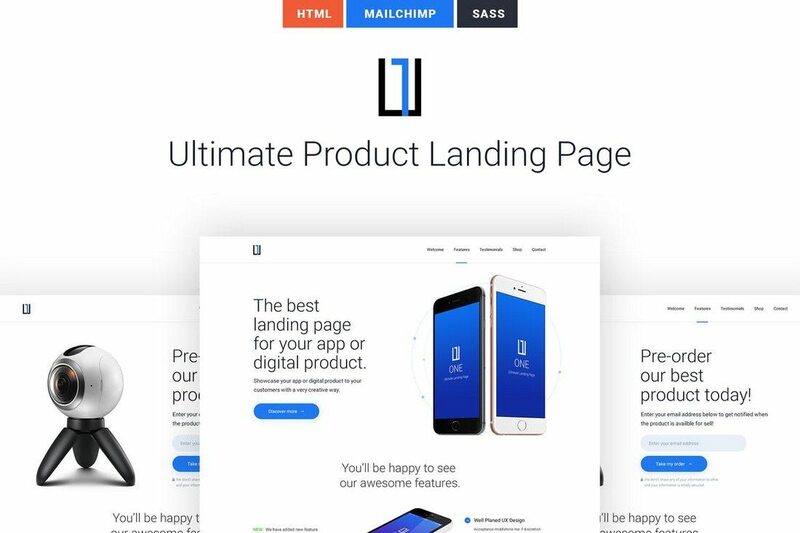 Urip is a stylish landing page template that comes with 5 different template designs, including a landing page with hero subscribe layout, hero form layout, app landing page, event layout, and a creative business landing page. Which makes it the perfect template for building lead generation, startup, app showcase, promotion, and list builder landing pages. 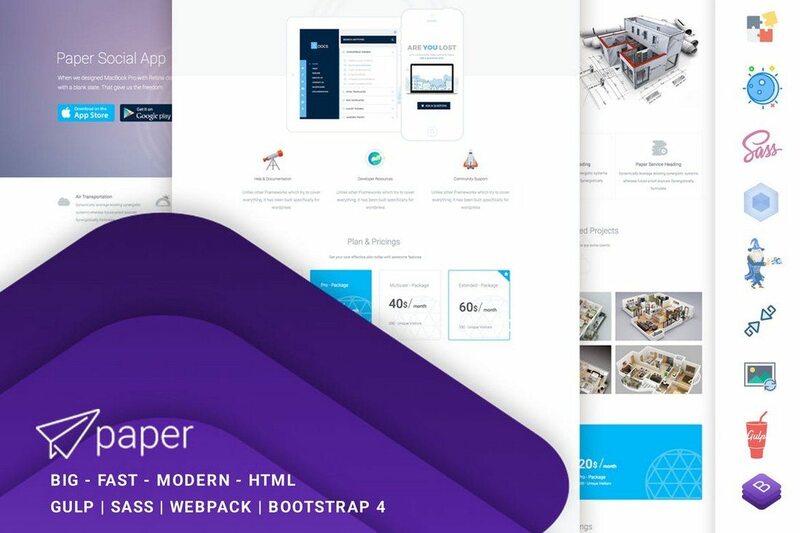 This Bootstrap powered HTML template features a modern and a clean design for showcasing an app while detailing all of its features in one place. Wava is fully responsive and features a functional contact form, Google Fonts, Font Awesome icons, and more. Wava also has a WordPress version of the template, in case you wanted to build a landing page with the CMS. ProLand is a landing page template for showcasing or selling products. It has a clean and a minimal design for nicely featuring a product with images, videos, and lots of information. 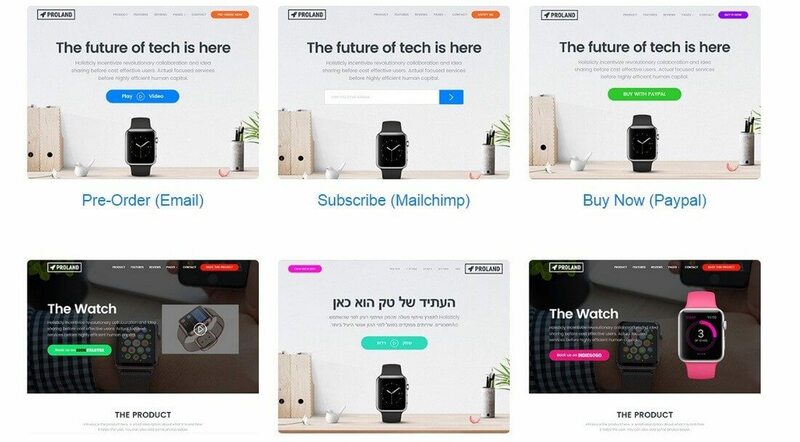 The template comes with 5 different variations for setting up landing pages for each stage of your product launch, including one for pre-orders, list building, Kickstarter and Indiegogo campaign versions, and another version for a sales page. Preparing to launch a new book? 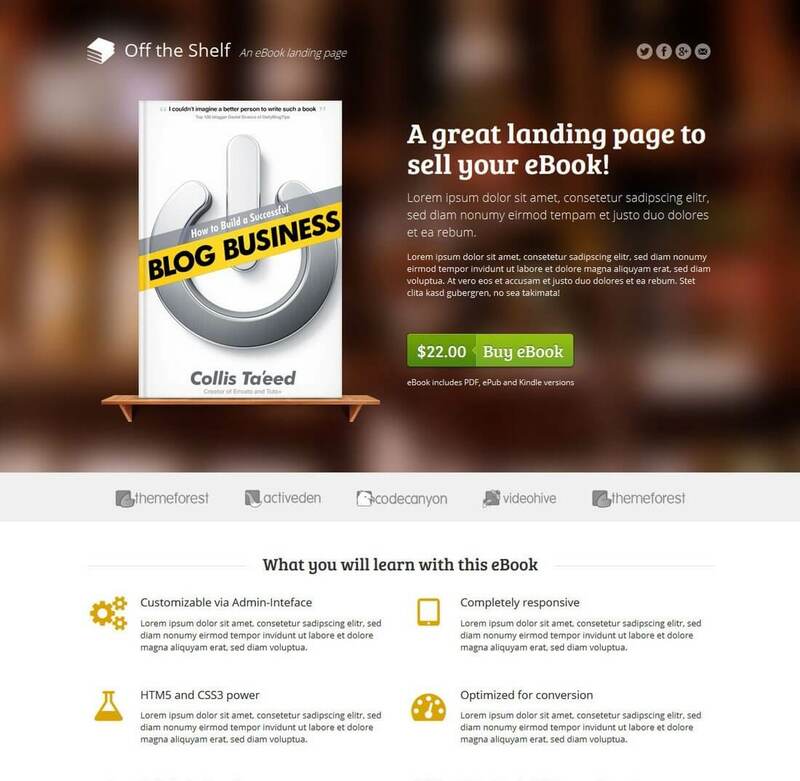 Then here’s a beautiful landing page you can use to setup a page for selling your eBook online. Off The Shelf template has all the features you need for showcasing your eBook in a professional way to attract more eyeballs, including a header with a big eBook cover, buy button, space for featuring reviews and videos, and much more. The template is customizable with 10 gradients, 8 solid colors, 15 background images, and 10 textures. 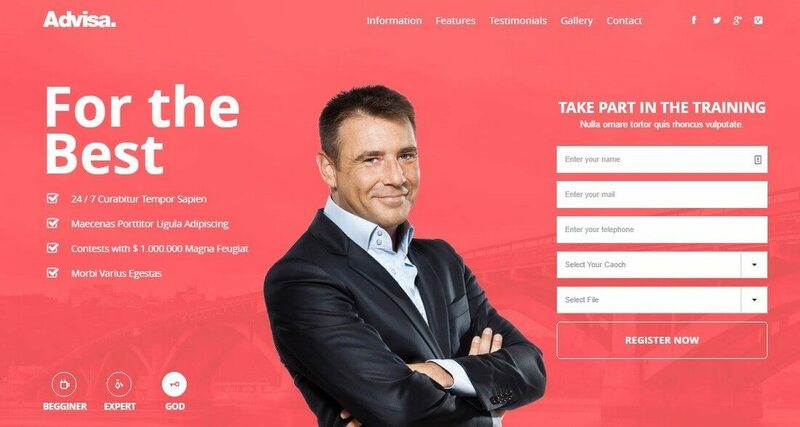 This landing page template is suitable for individuals and professionals who offer services online. It has a large header with a slider and includes working registration and contact forms. Advisa HTML template comes in 3 styles: A registration promo design, simple promotional design, and one with a video header background. 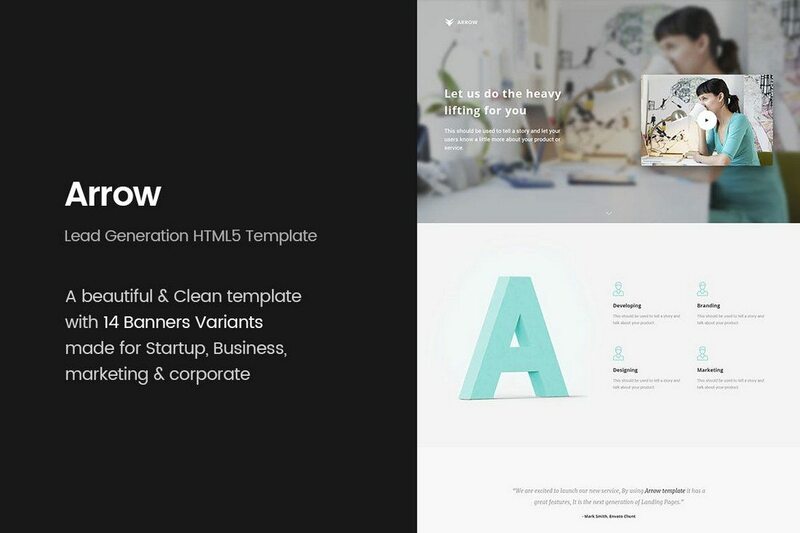 Featuring a beautiful flat design, the Flatone HTML template can be used as both a sales and a marketing landing page. The template comes with several different styles, including ones with background video, background slider, background pattern, and an additional page for 404 errors. The template also includes a custom CSS3 annotation effect for detailing different features of your product. This HTML template comes with two landing page styles for featuring either an app or a product. Both designs have a clean and an attractive design that quickly catches anyone attention. Katemi landing page also includes Take a Tour Plugin and Image Annotation, which will allow you to improve user engagement by taking them through a guided explanation of your product features. 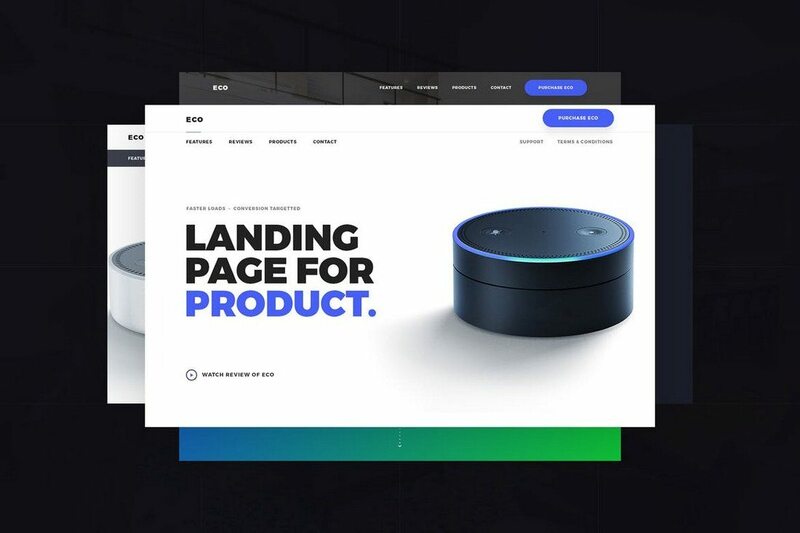 Mix landing page template is built with Bootstrap and comes in both dark and light design styles, each with a static image and slider versions. The template features a clean and a colorful design for showcasing an app and all of its features more elegantly. Yet another HTML landing page template built with Bootstrap for showcasing an app or a digital product. Hype features a clean modern design that’s also fully responsive and retina-ready. Hype HTML template comes in three styles, including one with a solid color background, another with video background, and an image background version. Boom landing page template is quite colorful and features a flat color design, which makes it ideal for building a landing page for events related to education or children. However, it’s also suitable for many other types of businesses as well. As a bonus, Boom comes with 2 template pages for a blog. 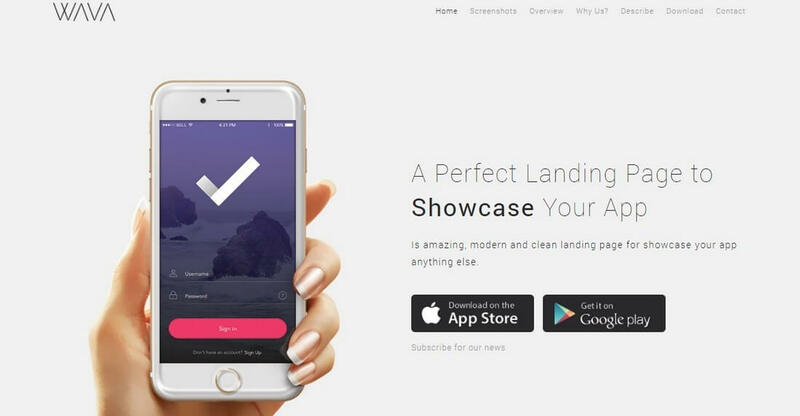 Flexi is an adaptable landing page template that you can use to design landing pages for apps, services, products, and events. It also features attractive animations and includes built-in styling for MailChimp signup and email forms. This landing page template comes with 3 different color variations and a unique interactive background effect that changes with mouse movement. It also includes a PHP Ajax contact form, pre-made gallery and review modules, and more. 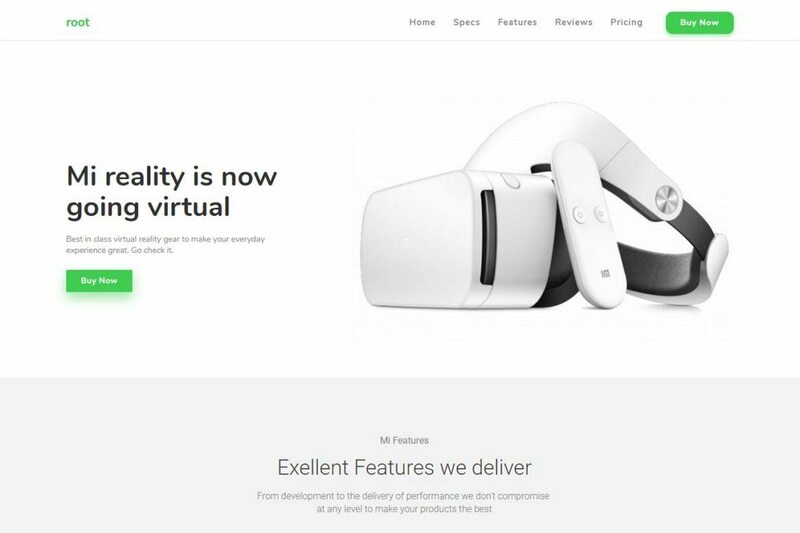 This landing page features a clean design for showcasing different types of products. 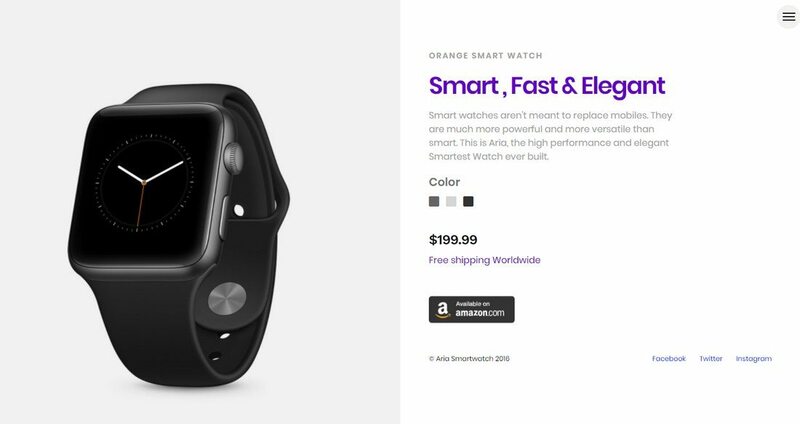 It comes with 3 different variations, including a standard design, a design with a slider, and another with a full-width slider. Fantonica template also features OnScroll Animate, Content Sliders, Google Fonts, Font Awesome icons, and much more. Increate is a multipurpose landing page template with a bold design. It’s mostly suitable for showcasing creative businesses and services. The template includes 4 different styles, including ones with signup forms and email subscribe forms. The design also has a portfolio section, customer review module, and many others. This minimalist landing page template features a clean design that’s simply perfect for showcasing online services, such as web hosting, web apps, or software. 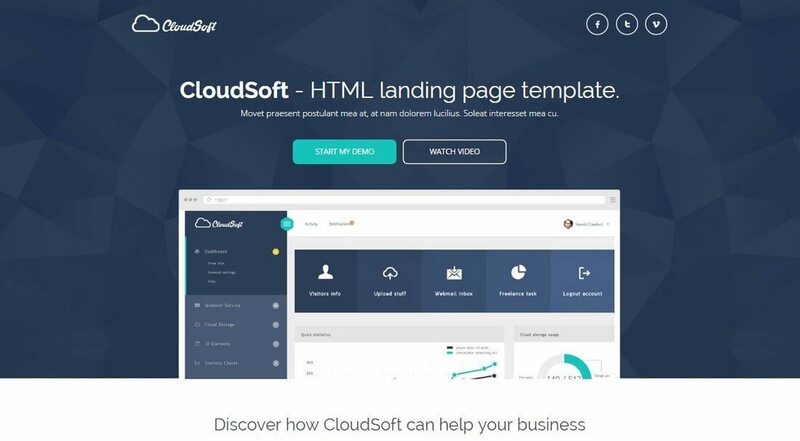 Cloud Soft template features a stylish video pop-up window, a price comparison chart, a customer testimonials section, and more. Hexy is a lightweight landing page template that loads quickly and features an attractive design. It’s also fully responsive and supports retina display devices. The template is extremely easy to customize and comes in 6 different color schemes in both Normal and Parallax versions along with support for Google Fonts, animation effects, email subscribe form, responsive portfolio lightbox, and more. This template comes packed with a lot of great features that makes it truly one of a kind. 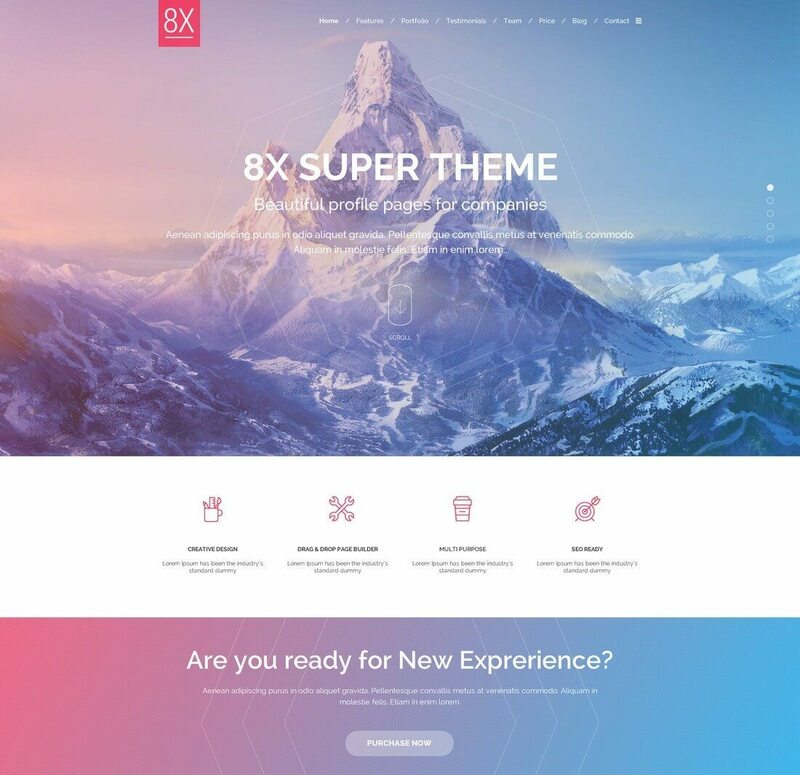 It comes with 12 different color variations in both boxed and fullwidth layouts, includes a fully functioning Ajax contact form, unique effects and animations, transition effects, and much more. The best part is that the theme creator also provides template customization as part of customer support. So, if you’d like to have something changed in the template, all you need to do is ask. 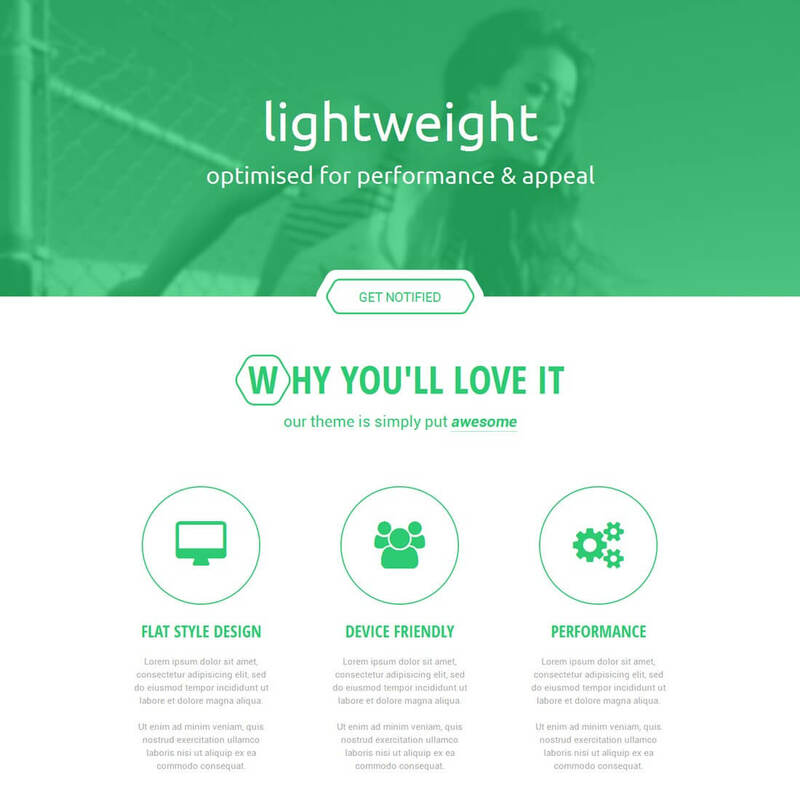 8X landing page template is also available as a WordPress theme. Landing pages have many benefits: increasing conversions, generating leads, building email lists, and much more. So, be sure to pick a template that fits your marketing goals. Also, try getting multiple templates and running split tests to find the perfect template that works best for your business.